There are many challenging puzzles which can be made for River Crossing. Some of the river crossing puzzles rely on the weights of the persons. Some of the puzzles rely upon the time taken by a person to cross the bridge. 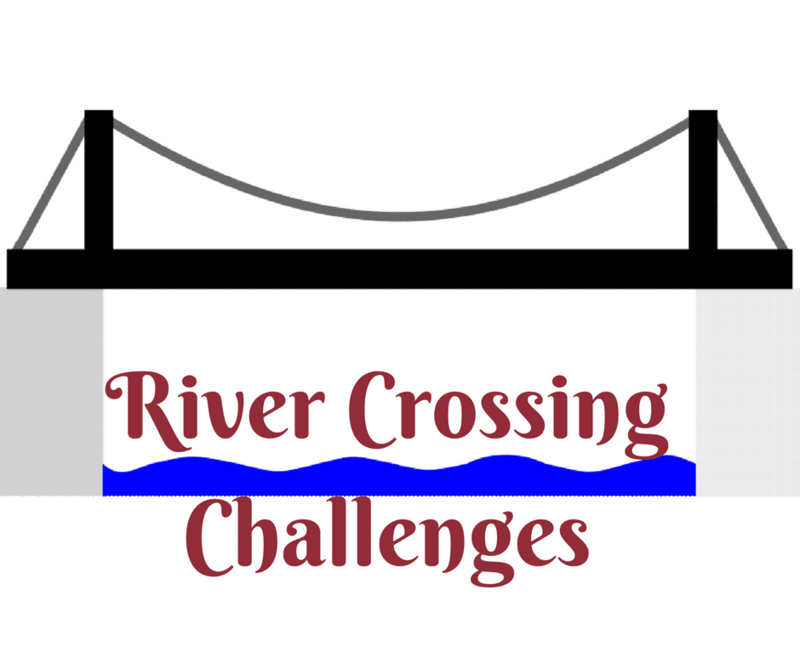 There are many different conditions and different river crossing puzzles can be created from these different conditions. Here we are putting together some of the river crossing puzzles. In this you play role of John which along with other friend Tom, Garry and David has to cross few bridges before all can reach home safely. 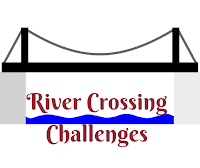 In this river crossing challenges there are three different rivers which needs to be crossed with different challenges. Lets see if you can solve these different puzzles and can lead yourself and your friends to home safely? Answers to these puzzles are given at the end of the this post. A. You (John) along with three other friends, Tom, Garry and David need to cross a river in a small canoe. The canoe can only carry 100kg. John weighs 90kg, Tom weighs 80kg, Garry weighs 60kg and David weighs 40 kg. They also have 20kg of supplies. How will you lead to help you and your friends cross the river in minimum trips? The bridge will collapse in 17 mins. Is it possible to cross the bridge safely before it gets collapsed. What is the shortest time needed for all four of them to cross the river ? C. After crossing this bridge, they come across on my river which needs to be crossed before every reaches their respective homes. However few of them start fighting with each other and at the end Tom wanted to kill Garry and Garry wanted to kill David. You (John) now have the responsibility to make all of them to cross the river without fighting and killing each other. In your presence everyone behaves very well. However if you are not around then Tom will kill Garry or Garry will kill David. There is a small boat to cross this river which can carry maximum two people at a time. How will you make sure that this river is crossed without anyone harming another person? 1. Critical Thinking: Out of Box Thinking Brain Teasers for Students with Answers: Check out Logical thinking brain teasers which will make you think critically and out of box. 2. Six Practical Problems and their Remarkable Solutions: Good Logical thinking helps us to solve practical problems. Here are six practical problems in which you have to think logical. Some of the answers to these practical problems will blow your mind. 3. Out of Box Thinking Fun Brain Teasers with answers to Challenge your Mind: Think Out of Box to solve these fun Brain Teasers which will twist your mind. 4. The Brain Wiring Test for Kids, Teens and Adults with Answers: At last give The Brain Wiring Test to check your IQ levels. Hidden solutions of how John helped his friends to cross the bridge and made sure that all of them reach home safely is given below. We have hidden the solutions to avoid spoiler. Do select the text between the puzzle marked with alphabet to watch the corresponding answer. 5. Garry comes back. David and Garry crosses river (60+40=100kg) and with this all crossed the river. Here we have to make sure that people who take more time cross the bridge together and none of them comes back. It means Garry and David cross the bridge together and they don't need to come back. So here is how this can be done. So John along with his friends is successfully able to cross the bridge in 17 minutes, just before the bridge collapses. 1. You (John) and Garry crosses river. 2. Garry is left on other side. you come back. Now John and Tom crosses the river. 3. John is left on other side along with Garry and Tom comes back. 4. Tom and David comes back. This way all of these crosses all the bridges successfully. Here is answer to 2nd Brain Teaser Question of post titled "Out of Box Thinking Fun Brain Teasers with answers to Challenge your Mind ". It will be 8th man. When the first ball is bold, it is faced by 1st number batsman and 2nd number batsman is on non strikers end. So after 6 balls are bold, batsman numbers 1, 3, 4, 5, 6 and 7 will be out. Now 8th batsman comes to bat and at the same time 1st over comes to an end to make 2nd number batsman to face the ball for next over. Now 8th number batsman remains at the non strikers end to be not out at the end.